If you want your oven to be in top condition whenever you decide to use it without having to spend many hours in cleaning work, order our professional oven cleaning. It will make your gas, electric, self-cleaning and other oven models sanitised inside and outside well. Our cleaning technicians will scrub the grease, stains, carbon deposits and burnt food from all oven surfaces. Use our expert oven cleaning services in Chiswick W4 every day. You can order them by phone, e-mail or online. If you want to maintain clean the oven in your home, the cooking appliances in your restaurant or other commercial property, call us. We will send our cleaning technicians to your address to provide the necessary work. They will inspect your oven and take apart the removable components in it. The grills, racks, glass panels and other parts will be soaked in heated cleaning solution in our dip tank. It will dissolve and loosen the grease, hard deposits and burnt food. 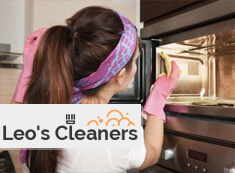 Meanwhile, our cleaners will scrub inside the cooker with the most suitable cleaning solution, polish the door and glass panels till they shine, sanitise the oven body and hobs. We guarantee you great results of our cleaning work. After the removable parts become clean, our staff will rinse and wipe them and then they will reassemble these oven parts. We offer excellent cooker cleaning to the residents of Chiswick W4, suitable for domestic and commercial ovens. If you need professional and speedy cleaning of the oven in your home or business property, use our services. They will save you much time and efforts. The oven cleaning which we offer is available in W4 Chiswick at reasonable prices as a one off and regular service.